Nationally house prices are up on average 0.2% in the past month and up 3.4% on average in the past year. Most of the major house prices report a rise in house price growth over the past month. Land Registry (0.4%), Halifax (0.3%), Nationwide (0.2%) and Rightmove (1.1%) say monthly house prices are rising. 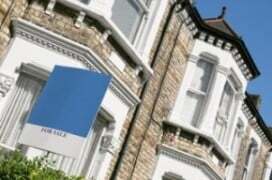 LSL (-0.1%) say monthly house prices are falling. Land Registry and LSL refers to September house price data. 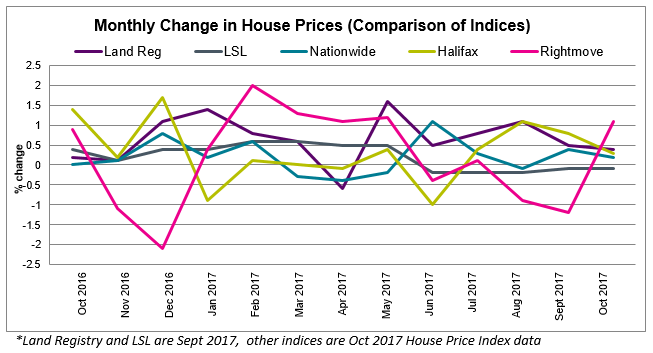 Nationwide, Halifax, and Rightmove refer to October house price data. 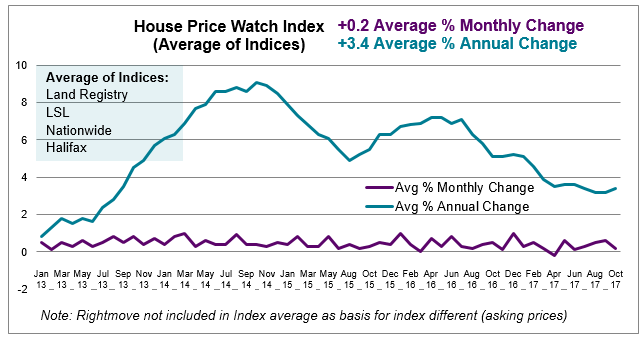 Across the major indices, house prices are up on average 0.2% in the past month and up 3.4% on average in the past year (Rightmove is excluded from the average). House prices have slowed over the course of 2017 but have stabilised in recent months. UK home sales fell in September – down 1.8% between August and September 2017. Transactions are 4.6% higher than September 2017. It is worth bearing in mind, however, that home sales from September 2016 may have been affected by a slowdown following a period of uncertainty after the result of the EU referendum. (HMRC seasonally adjusted figures). Mortgage approvals for house purchases, which are a leading indicator of completed house sales, were also down in September. October 2017 RICS UK Residential Market Survey shows a drop in new buyer enquiries and a drop in agreed sales. New sales instructions also dropped. The stock of homes available for sale on estate agents’ books has risen slightly from record low seen in June earlier this year. Still the supply of homes available for sale is tight and keeping upward pressure on house prices. Confidence in house prices has fallen to its lowest level since December 2012 according to the Halifax Market Confidence Tracker. The biggest barriers to buying a house are the ability to raise a deposit (61%) and job security (42%). An increase in the Base Rate was the main barrier for 15% of people and a third (36%) of existing mortgage holders indicated rising interest rates would affect their ability to meet their repayments. 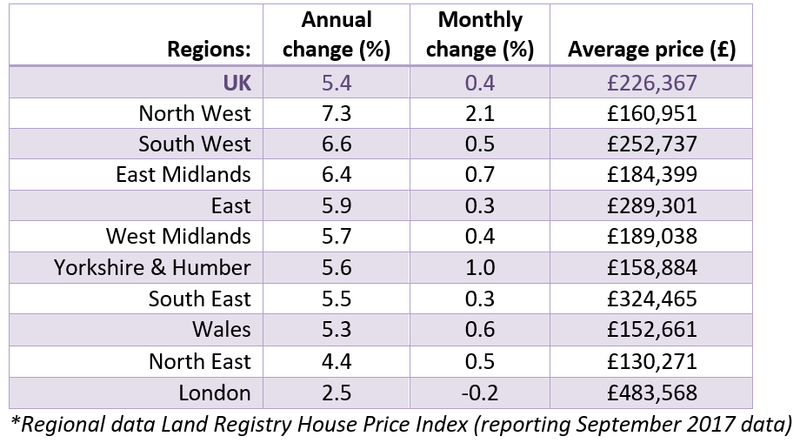 In the past month, house prices are up in all regions except London where house price have continued to fall (-0.2%). London is also experiencing the slowest annual house price growth of any region (2.5%) well below the UK average. The North West (7.3%), the South West (6.6%) and the East Midlands (6.4%) top the table for annual house price growth.